The U.S. Court of Appeals for the Second Circuit recently issued an opinion granting OSHA the ultimate leeway to characterize citations as Repeat. The case involved a Repeat excavation-related OSHA citation issued to Triumph Construction Corp. in 2014. OSHA based the Repeat characterization on a prior violation of the same excavation standard confirmed against Triumph from 2009. Triumph asserted to the OSHRC Administrative Law Judge and to the U.S. Court of Appeals for the Second Circuit that the Repeat citation was not appropriate because the amount of time that had passed from the original 2009 citation to the new 2014 alleged violation (nearly five years) was outside OSHA’s stated Repeat look-back policy in its Field Operations Manual. 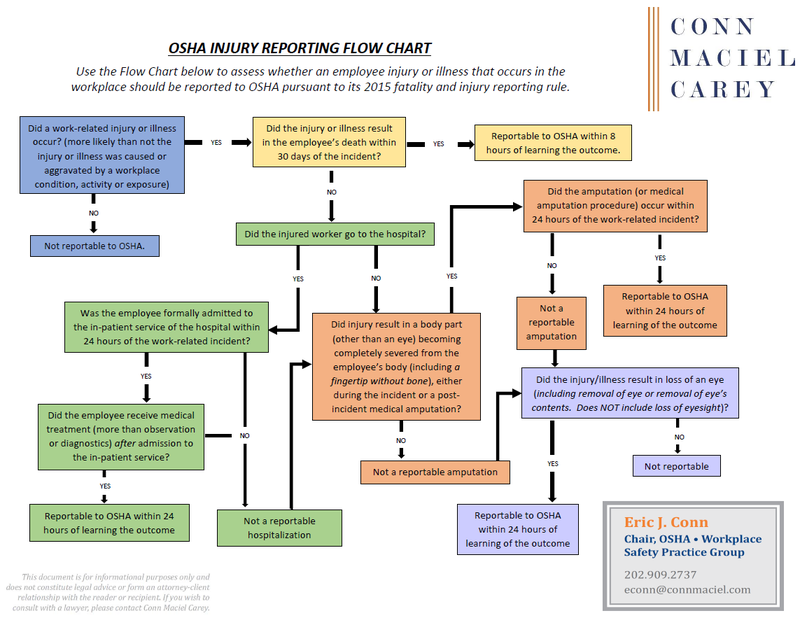 The OSHA Field Operations Manual in effect in 2014 was the 2009 version, which provided for a three year look-back period to find prior violations to serve as the basis for a Repeat violation. In a 2016 update to the Fields Operations Manual, the Obama Administration expanded the Repeat look-back period to five-years. Regardless what the FOM said, the Triumph case implicated broader issues of whether OSHA’s policy created an strict statute of limitations for the Repeat look-back and whether OSHA has the authority, on a whim, to change enforcement policies like the Repeat look-back period without rulemaking or legislation. The ALJ upheld the Repeat citation, and on appeal, the Second Circuit in Triumph Construction Corp. v. Sec. of Labor (Docket No. 16‐4128‐ag, March 14, 2018), held that because neither the OSH Act nor any regulations promulgated under the Act mandate or restrict any look-back time period for Repeat violations, OSHA was not bound by its own stated policy. OSHA has the discretion, in other words, to search an employer’s citation history as far back as it wishes to identify any prior substantially similar violations to serve as the basis for a present “repeat” violation.In effect, the Second Circuit authorized a potential unlimited look-back period for the agency to issue repeat citations and clarified that OSHA is not legally bound by its own stated polices. This poses serious problems for employers because it calls into question employers’ ability to rely on OSHA guidance and policies. That said, the Second Circuit’s decision is not a surprise. The law has always been clear that there is no statutory limitation on the length of time that a prior citation may serve as the basis for a Repeat violation. OSHA historically looked back only three years for past violations, but the Obama Administration extended it to five years. However, the look back period is merely a policy that OSHA does, from time to time, ignore when it suits its agenda. Indeed, the language in the Field Operations Manual, regardless of the stated time period has always qualified that it is not a rigid deadline. Extending the look back period policy was just one of several actions OSHA took early during the Obama Administration to deliberately seek and cite more Repeat violations. David Michaels, Obama’s Assistant Sec’y of Labor for OSHA, complained frequently that OSHA’s enforcement teeth were not sharp enough. Without being able to change OSHA’s civil penalty authority, OSHA changed numerous policies and practices with the specific intent to find and cite more Repeat violations, because Repeat violations carried 10 times higher penalties than Serious and Other-than-Serious violations. In other words, finding ways to characterize more violations as Repeat was a way to raise OSHA penalties without being granted any new authority from Congress—so that is precisely what OSHA did. In addition to expanding the look-back period to 5 years, the Obama Administration’s OSHA also broke down barriers between individual establishments, so that a violation at one location of a multi-establishment company could be used as the basis for a Repeat violation at any other location in fed OSHA state within that organization. OSHA also became more proactive in how it selected targets for inspections, which made it more likely for an employer to be visited multiple times during the look-back period. Those policies were “successful,” in that the percentage of OSHA violations characterized as Repeat doubled during the Obama Administration. Citations characterized as Repeat now make up more than 5% of all OSHA citations. That trend continued even after Congress gave OSHA new penalty authority, increasing the max price tag for a Repeat violation from $70,000 per violation to approx. $130,000. As a result, we are seeing more $100K+ and $1M+ OSHA enforcement actions than ever before. In light of OSHA’s Repeat violation philosophy, particularly in the context of the Second Circuit’s ruling in the Triumph case, employers need to be extra vigilant in defending against initial citations if the cited standard presents a risk of future Repeat violations, even if the initial penalty is very low. Paying the fine for a Serious or Other-than-Serious citation today may seem like no big deal if it carries a relatively small fine, but if can easily lead to a Repeat citation in three or four years (or eight years now that OSHA knows its look-back period is unlimited) could turn that initial violation into a costly burden. Employers also need to understand the numerous other ways that Repeat violations can harm employers beyond just the 10x higher penalties. First, even under the Trump Administration, OSHA is continuing to issue inflammatory and embarrassing press releases about OSHA citations in significant cases, which includes most enforcement actions involving Repeat violations. So reputational harm can come to an employer just for being alleged to have committed a Repeat violation. Worse still is falling into the dreaded “Severe Violator Enforcement Program” (SVEP). The qualifying criteria for SVEP include Repeat and Willful violations in certain categories, but the data shows the vast majority of employers dumped into SVEP are there because of Repeat violations. Even more reason to fight the initial violation, regardless how low that initial penalty may be. Finally, a Repeat citation could increase insurance premiums and disqualify contractors and subcontractors from government and private contracts. There are potentially costly consequences for accepting a citation that has a high potential to become a Repeat citation. Therefore, employers should strongly consider contesting OSHA citations if a settlement cannot be reached that mitigates the risk of future Repeat violations.